Recently, Are of Valor is about to launch in the US, as one of the most popular mobile game in the world, which developed by Tencent Games, the mobile MOBA has over 200 million registered players and regularly hits 80 million daily active users. Traverse a classic three-lane arena filled with nooks and crannies between towers. Watch out for enemies lurking in the brush and uncover secrets that wait in the jungle. Intuitive controls specifically designed for mobile will have you racking up kills with ease and make you an MVP in no time! 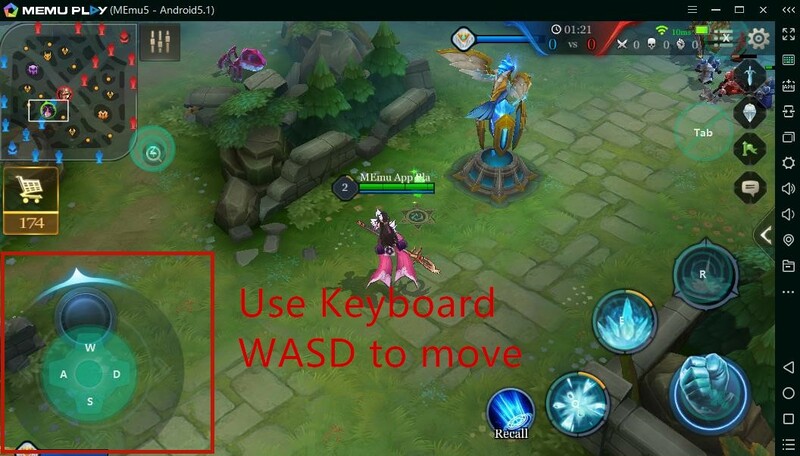 Here we will make a brief introduction about how to set key mapping and play arena of valor on PC keyboard mouse, there are two type of key mapping mode to play Are of Valor on MEmu. 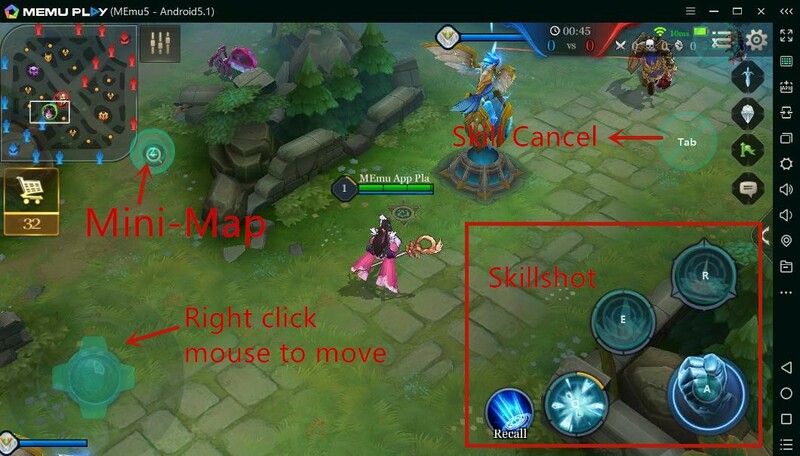 LOL Mode: Right click mouse for movement, use keyboard to attack and skillshot. WASD Mode: Use keyboard for movement, right click mouse to attack and skillshot, others are same with LOL Mode keymapping.